Many small businesses think small business branding is an oxymoron. Small businesses consider branding an expensive form of marketing. They think branding requires a big budget to pay for an advertising agency to develop branding campaigns and mass media to build brand awareness. While a big budget may be nice, branding is more than an advertising campaign or a logo. Small business branding goes beyond a logo or trademark or colors. It’s bigger than that. It encompasses your business and its reputation. Small business branding tactics are grounded in your business principles and beliefs. This is NOT trivial. As such, branding should be integrated into every image and message. Branding should be incorporated into every interaction you have across owned, social media and third party platforms as well as in real life. Just ask anyone who’s attended Content Marketing World and they’ll gush about the fun, the people and the learning. Joe Pulizzi and his team at Content Marketing Institute (aka CMI) have made Content Marketing World into a big inclusive brand tent that just keeps getting bigger and better. Anyone who’s a content marketer is invited to join, participate and contribute. Even more importantly—they welcome participation by their team, their sponsors, their presenters and their attendees. 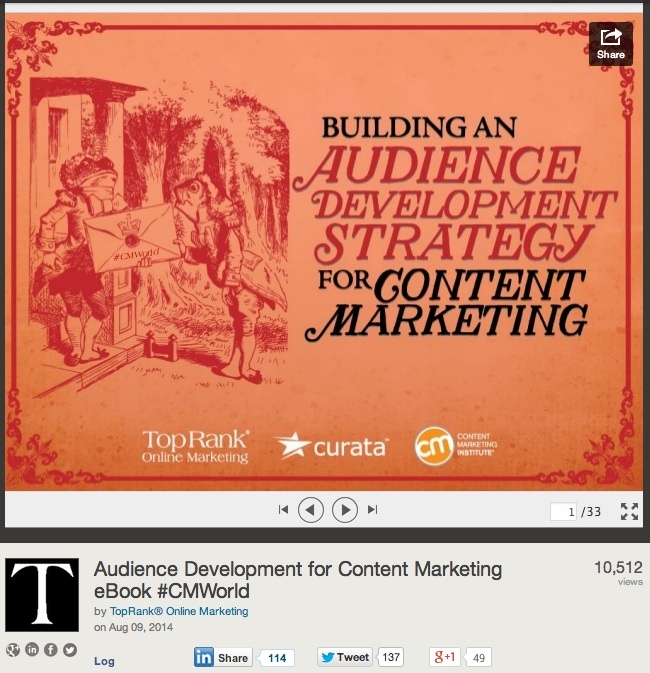 CMI has been building up to the event for a good 6 months with weekly Twitter chats (#CMWorld) and quality content. Content Marketing World underscores an important point for small business branding. A major element of your branding is about the relationships you build where your reputation and the name of your business are closely aligned. How do they do it? You can call it magic. BUT I call it branding. 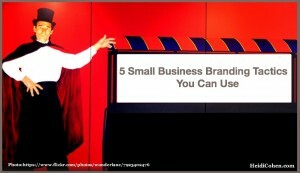 Here are 5 small business branding tactics that translate into measurable business improvement. 1. Provide value for your target audience. This shouldn’t be a news flash. Business relationships are grounded in helping your customers and partners to achieve their goals. Your reputation is a key element of your small business brand. Be nice and help others. This goes beyond branding to social media where it’s considered paying-it-forward. 2. Develop a consistent business identity. Think real life as well as online. This encompasses everything from your location and personal appearance to your online presence. By not branding, you’re sending your market a message that you don’t think your brand is worth spending the time on. Follow this 21 point branding checklist to get your brand on track. 3. Get your employees and fans to help you. Branding is more than skin deep. It’s about your thought leadership and other elements that are ingrained in your employees and raving fans. Set guidelines and seek out your supporters and ask them to contribute. Encourage these people to contribute to your content efforts whether it’s articles for your blog or photographs for social media. 4. Create your branded social media presence. Go beyond the basics on social media. Consider how you want to present your business. The goal is to cast a large shadow. Think in terms of your business pages on various platforms. 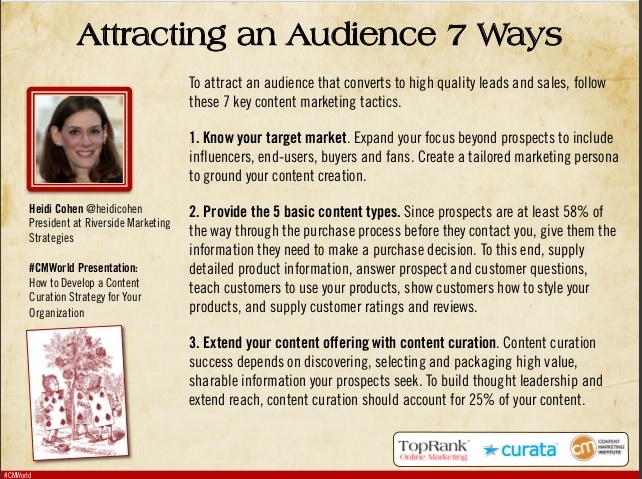 How will you present your business in terms of content, curation and commentary? How will you keep your posting consistent without duplicate content? Also, decide how you want your employees to engage on social media. Do you want them to use corporate accounts or are you willing to let them build their own presence? Realize that each of these options has its pros and cons. At a minimum, you need social media guidelines. 5. Leverage and brand your existing business tools. Understand that not taking the time to create brand guidelines for your small business is a decision. Whether you realize it or not, you have a lot more business tools than you think. Among the major items are your physical presence (especially if it’s a store), website, email addresses, customer communications, purchase receipts, business cards, presentations, and packaging. The bottom line: Create your small business brand. Then use it consistently and often. What other suggestions would you add and why? Tags Content Marketing Institute, Content marketing world, Joe Pulizzi, Peter Shankman. Bookmark the permalink.